Abe Cohen Plumbing and Heating is who you need to call for ADA-compliant accessible bathroom and other plumbing fixtures in Ahuntsic, Baie D'Urfe, Beaconsfield, Bord du Lac, Cote Saint-Luc, Cote St-Luc, Dollard des Ormeaux, Dorval, Downtown, Hampstead, Ile Bizard, Lachine, Lacey Green, Lakeshore, LaSalle, Laval, Mile End, Montreal West, NDG, Nouveaux St. Laurent, Nun's Island, Old Montreal, Outremont, Pierrefonds, Plateau, Pointe Claire, Pointe St. Charles, Roxboro, Ste-Genevieve, St. Henri, Town of Mount Royal, Verdun, Ville St. Laurent, West Island, Westpark, Westmount. Accessibility can be as basic as a toilet at a specific height. In an industrial context, you may be required to comply to specific requirements for accessibility. All basic plumbing fixtures are available in adapted form (and may be required in your industrial premises): toilets, basins, sinks, faucets, drinking fountains, and water coolers. From basic to a completely wheelchair-accessible installation, we have the expertise and the experience, the fixtures, and the competence to install every plumbing fixture you may need to permit accessibility to all. 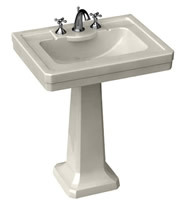 The Americans with Disabilities Act defines the standards and requirements for plumbing and other fixtures. We offer ADA-compliant fixtures to assure you of an installation that meets the accessibility requirements for your employees, customers, and visitors. Local, regional, provincial, and federal regulations may also apply, depending on the nature of your business. We can help you with all of the accessibility requirements for your particular industry. An ADA compliant fixture complies with the guidelines of the Amercians with Disabilities Act. 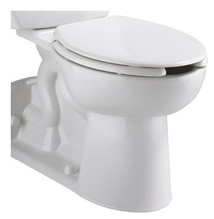 ADA-height toilets are also known as handicap-height, comfort height, universal height, and right height. Safety depends on the right fixtures and reliable installation. At Abe Cohen Plumbing and Heating Inc., we are a three-generation family business with more than 50 years in the plumbing trade. We consider our customers to be family and friends in a long-term relationship with us. We have the experience, expertise, tools, and equipment to install handicapped-accessible toilets and plumbing fixtures in an industrial building in the greater Montreal area. We are respectful, clean, and professional. We are certified and active members of CMMTQ (Corporation des maîtres mécaniciens en tuyauterie du Québec), ACQ (Association de la Construction du Québec), and certified partners of Gaz Métro for natural gas piping and installations.